eobiont - A fresh print campaign attracts new customers for a fintech startup. 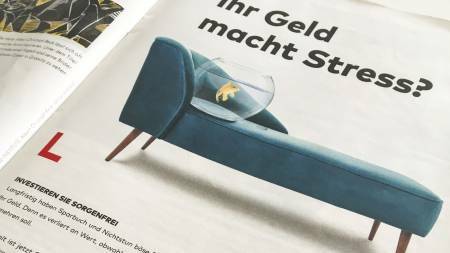 A fresh print campaign attracts new customers for a fintech startup. 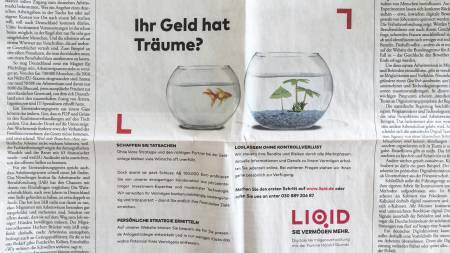 Our Design Dash workshop quickly and effectively helped the startup fintech LIQID create a print advertising campaign that commands attention and furthers brand communication. 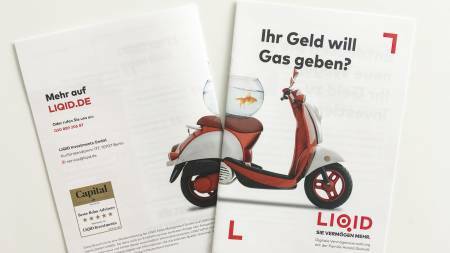 Many Germans remain very financially traditional, often only putting their money into savings accounts or short-term deposit accounts. Convincing them to invest in stocks or other equities can be a struggle, especially if you are a relatively unknown startup. The new fintech LIQID, which offers high-end investment possibilities at relatively low entry points, aimed to do just that. 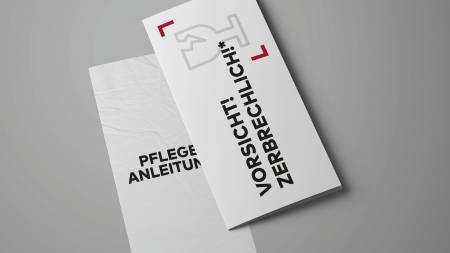 Along with the development of an overall communication strategy, they needed a strong, memorable visual ad campaign to help them drive home the point that people need to treat their money with more care. Through our Design Dash workshop we developed the concept of a goldfish bowl in various quirky and unexpected settings. This was paired with a headline that asked what was holding your money back from its full growth potential. The goldfish was positioned as a metaphor for the reader’s wealth that could be better taken care of. Because the copy had to convey a fair bit of information, the visuals had to be interesting and engaging enough to make the reader curious to read on. 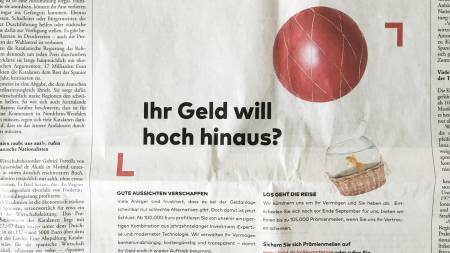 The ads ran as large format in print versions of “Die Zeit” and “Handelsblatt,” as well as their magazine sections consistently for many months. These two magazines serve a high-end readership of academics and business people. These were supplemented with online ads and mailings. As a result, we were able to double the percentage of first-time investors.